Select 35-39 39-42 42-44 - Out of stock - notify us! Definately the first pair of CRASHDÏET socks you've ever seen :). European sizes, the most reliable conversion chart for US / UK sizes I've found is located here! 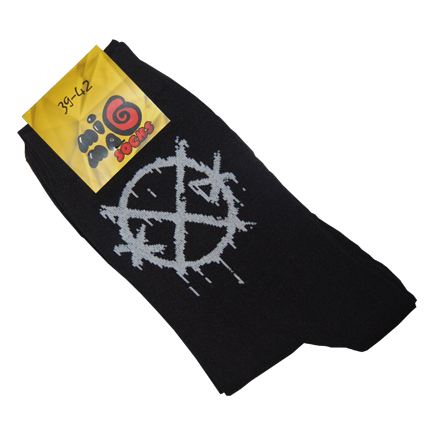 The best pair of socks that I`ve ever had!! Highly recomended!! Comforting and cool looking. I use them to everything from tennis and running to give that little extra rock'n'roll touch when wearing a suite:) Don't know about the quality yet, so I save one star til I know if they have long life.